Nigel introduced our first song of the morning. Song SASB 1002 I the Lord of Sea TB 689 Band. This was followed by a prayer for our local community, our Corps (especially for those members on the prayer list) and also for our Government. We then saw a picture of an Olive tree ( can be up to 2000 years old & still fruitful). The oil can be used as a Polish for wood, a beauty treatment or as an oil in its own right. The wood is often used to make beautiful carvings. Nigel explained that not all grapes will be eaten as tasty raisin, or made into dresse. Most grapes are crushed and used to make wine. Not all Olives will get made into delicious olive oil or its wood be used for amazing carvings, most will just be pressed to make every day oil. Nigel read the following passage from the Bible : John 15 v1-17 and this was followed by two congregational songs Song SASB 371 I will offer up my life TB 894 Piano and Song SASB 64 The splendour of the King TB 664 Piano. Following the offering we sang Song SASB 672 Saviour if my feet have faltered TB383 Band. Nigel shared a story of his parents home in Broadstairs, which had an established vine growing in the conservatory when they moved in, and it yielded a vast amount of grapes , of the wine variety. Nigel’s Father tried to make wine from these , but despite toiling over the pressing, fermenting and bottling , the wine was bitter and he was not able to enjoy the fruits of his labour. Nigel shared this family story to illustrate that Jesus used the analogy of fruit and vines as an easily understandable story. Grapes & wine were an important part of everyday life in Israel at that time, a staple part of peoples diet and the Bible is full of references to both. Can we honestly say that we are bearing much fruit in our discipleship? 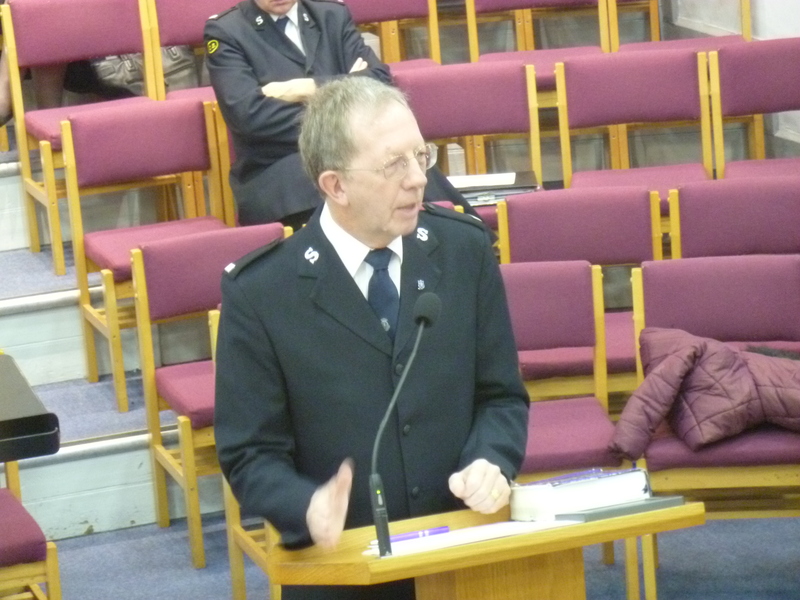 Commissioner Gill Cotterill was quoted by Nigel from a recent copy of the Salvationist .. ” bearing fruit brings fullness of life to us because it is a sign of our friendship with Jesus ” and the article was further quoted from where the commissioner said ” while the purpose of the Church is to bear fruit, this is evidenced by being spiritually connected to God as followers of Jesus . No connection = No growth. Verse 5 of the earlier reading say’s 5 “I am the vine; you are the branches. If you remain in me and I in you, you will bear much fruit; apart from me you can do nothing. Horticultural experts tell us that fruit, especially grapes, do not grow on the trunk or stem of a plant or tree. Fruit grows on the branches ( that’s us !) which are attached to the trunk.They are fed and nourished by the trunk, verse 4 Remain in me, as I also remain in you. No branch can bear fruit by itself; it must remain in the vine. Neither can you bear fruit unless you remain in me. Jesus by likening himself to the true vine ensure we will be fed and watered by him , but Nigel told us . it’s a two way thing . The roots bring up the water and nutrients to the branches, while the leaves on the branches use sunlight to produce further nutrients to ensure that the fruit grows, swells & ripens. So we need to remain connected to Jesus , and draw on him daily, but we also need to do our part because if we do nothing the fruit will not grow . Nigel told us we can do this by going deeper into Gods love , reading and understanding our Bibles better each day. Do we pray & listen to Jesus , as all of this is part of being fruitful and effective disciples. 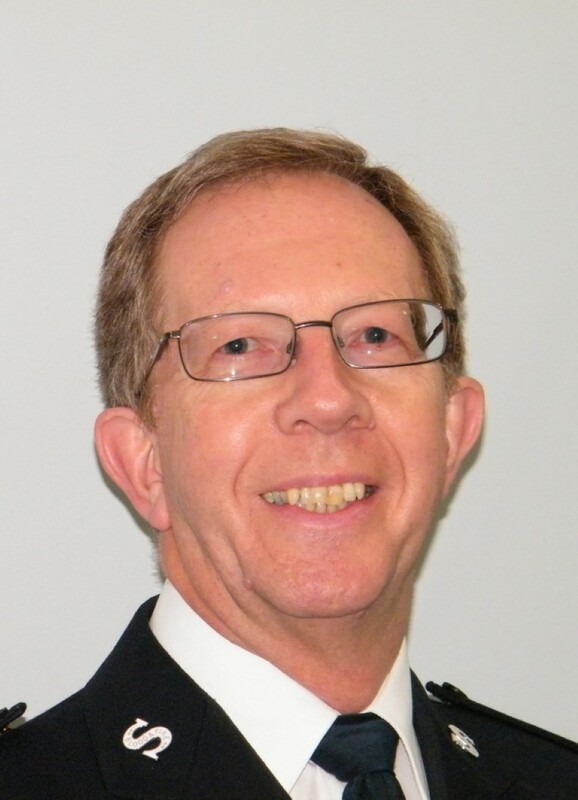 Nigel invited us to consider if we have that strong connection to Jesus, or has it weakened, could we take this time today to re-assess where we are on our spiritual journey, and where we think God wants us to be. Lisa was asked to play the tune of our next song through , which was Song SASB 649 If crosses come TB 490 Piano, and we took the opportunity to pray and then sang the song. This entry was posted in Church Life, Discipleship, Fellowship, Monday Spot, Service, Spiritual Life, Worship. Bookmark the permalink. 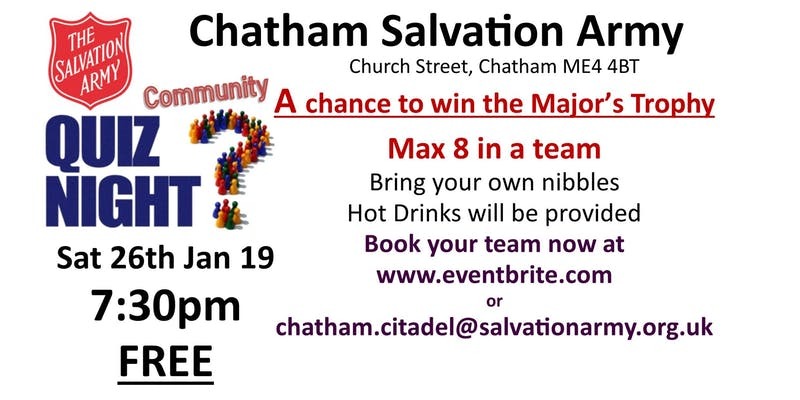 About the quiz night on Saturday – there are just three of us coming together for this evening’s event. Will we be able to join another group to make a team?